This post contains affiliate links. 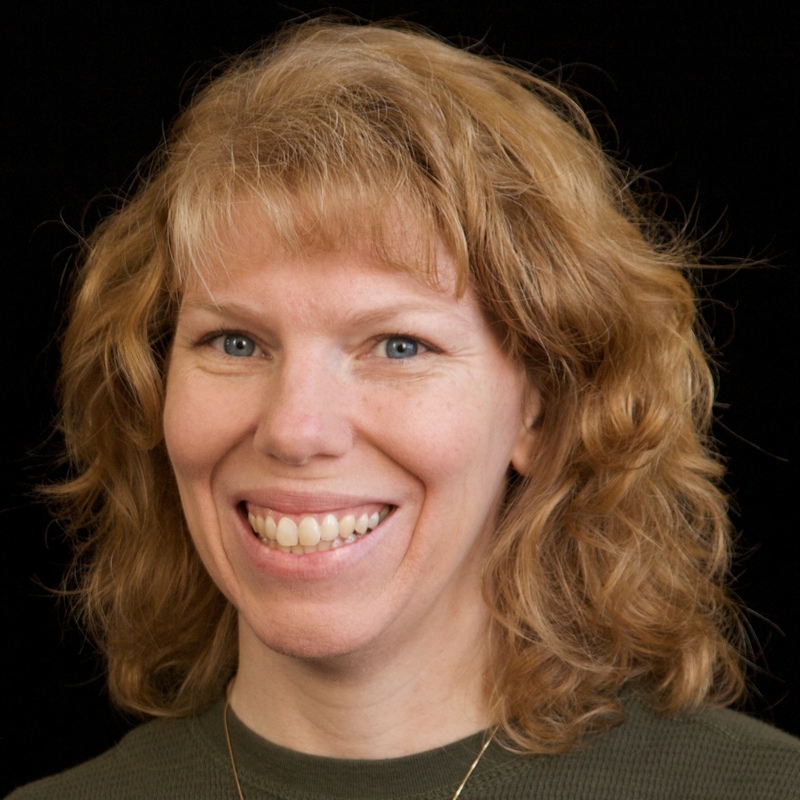 Thanks for supporting My Creative Life! I'm getting a jump on my resolution to create a craft inspired by each of the 50 states. 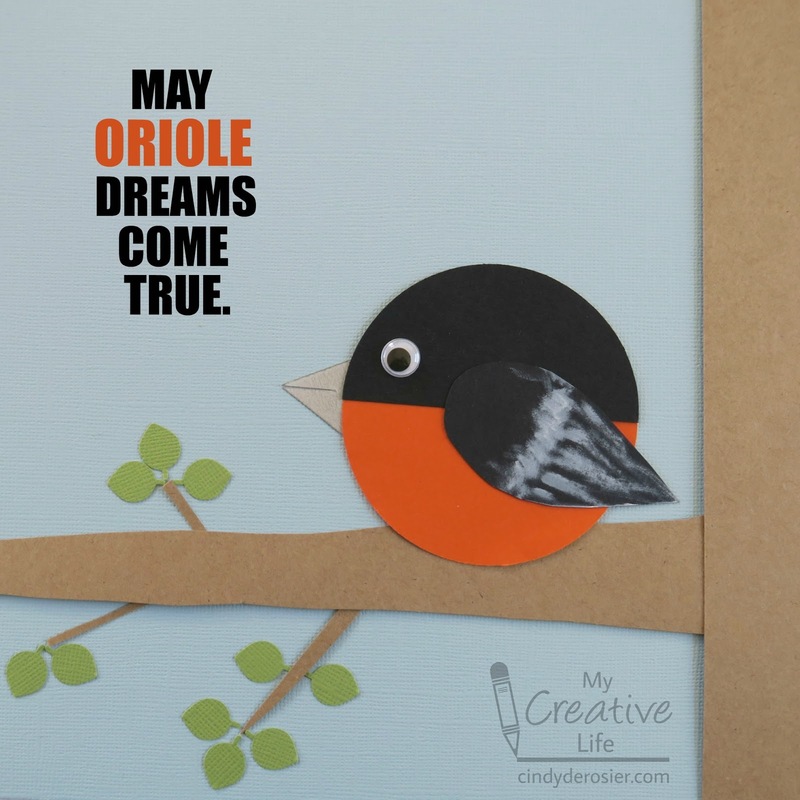 This is the oriole I've been wanting to make since returning home from Baltimore. If I were the type of person who likes puns (which I am NOT), I might add text to the craft using PicMonkey. Shockingly, nothing came up when I googled "May Oriole Dreams Come True." Too bad I'm not someone who likes puns, since I apparently invented one. I'm not really into speech bubbles either. But if I were into puns AND speech bubbles, this is how my oriole would look. 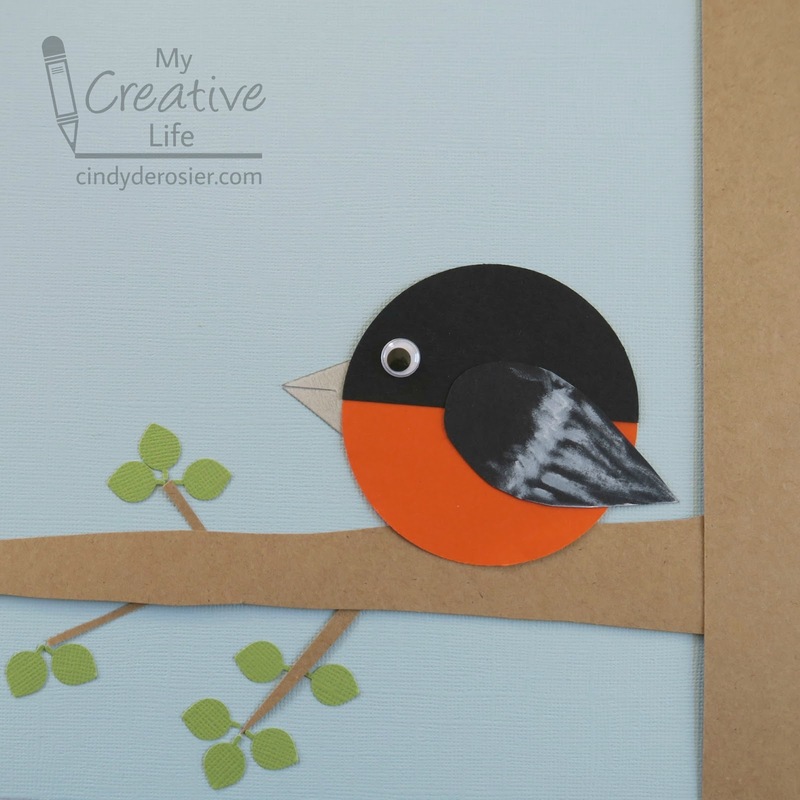 You can make your own oriole, punful or punless, in just a few minutes. 1. With the circle punch, cut out an orange circle and a black semicircle. (Just put the punch in halfway and you'll get a nice semicircle). With the scissors, cut a teardrop shape from the black paper. This will be the wing. 2. Use the q-tip to rub white ink onto the wing, starting about midway and ending toward the pointy end. 3. Cut about ten leaves using the leaf punch. 4. 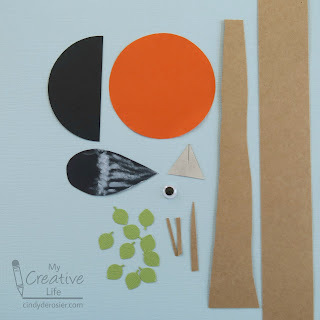 With the scissors, cut a strip of brown the same height as the blue background paper. Cut a narrower, tapering piece of brown that will be the branch. Cut a few slivers of brown from the scraps to make twigs. 5. 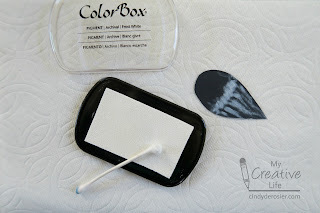 Use the grey cardstock to cut a small triangle. Snip a tiny sliver out of the point to suggest an upper and lower beak. 6. Start by gluing the branch horizontally along the bottom third of the paper. Glue the tree trunk flush with the right side of the paper. Add twigs and leaves along the branch. 7. Assemble the oriole by gluing the black semicircle to the orange circle. The wing goes in the center, pointing toward the lower right. Glue the beak and the eye in place. 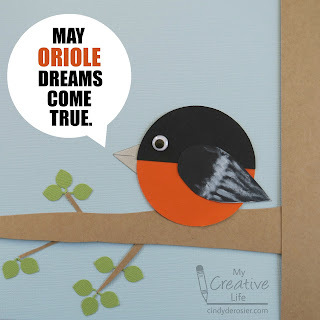 Finally, glue the oriole to the branch. 8. Add text (or don't). It's up to you! This oriole is actually my third craft inspired by the state of Maryland. You can see the others, and find links to all my favorite Annapolis and Baltimore destinations, on my Maryland Travel page. He's cute...so round, LOL! I AM someone into puns and speech bubbles, so even though the original is cute, I like the 3rd version the best! Happy New Year! ^^ I'm with Doreen ... lol! I love puns too!! These are fabulous!!!!!!!!! !